In early October, nearly two dozen LSU AgCenter Food Incubator tenants stood expectantly behind tables that held their products—a smattering of condiments, salad dressings, snack foods and other items largely inspired by personal recipes. The tenants were preparing for the arrival of several executive corporate chefs from around the country who were visiting Louisiana on a tour arranged by the Louisiana Seafood Promotion and Marketing Board. One of the stops included the AgCenter’s nearly four-year-old Food Incubator for a close look at artisan products made by local producers. On one side of the room, Hooked on Re:’s Sarah Vincent arranged sample cups of salad tossed with the Baton Rouge-based company’s two vinaigrettes. At the other end, Lafayette pickle maker Gaye Spaht readied toothpicks and bite-sized portions of her Old Soul pickles. 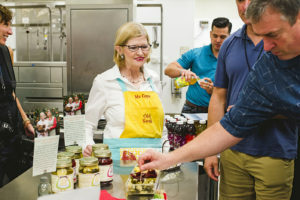 Between them, other producers practiced pitches on specialty foods that included hummus, confections, salsa and a sports drink, all of which were developed at the LSU facility. It’s a familiar dream that plays out across the country: A home cook has a signature recipe that friends and family can’t stop raving about. Perhaps the item is distributed as a signature holiday gift or is sold through a home-based business. Whatever the case, reception is strong enough to convince the home cook that the retail market is calling. 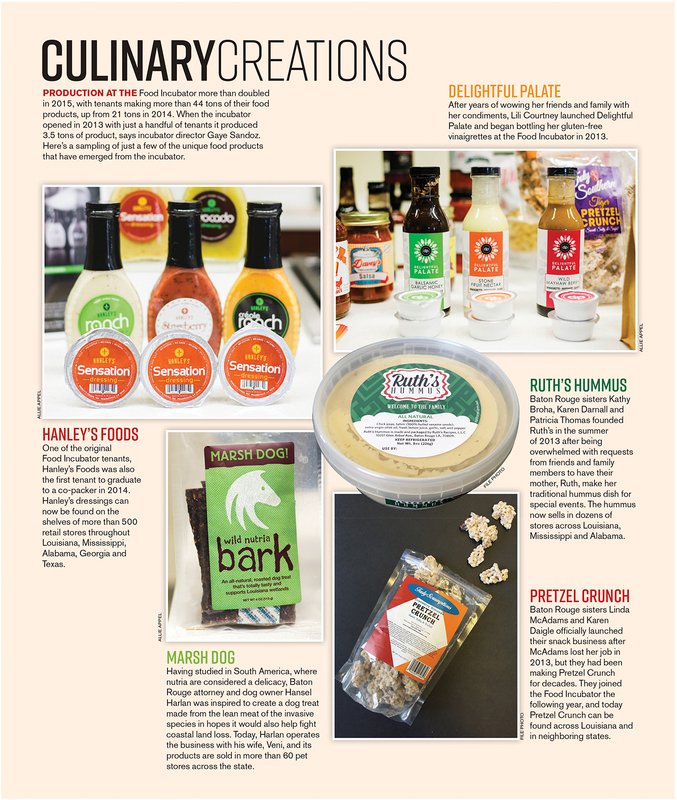 Since the Food Incubator opened in January 2013, 35 food companies have been brought on as tenants, developed products and released them into the specialty foods market. 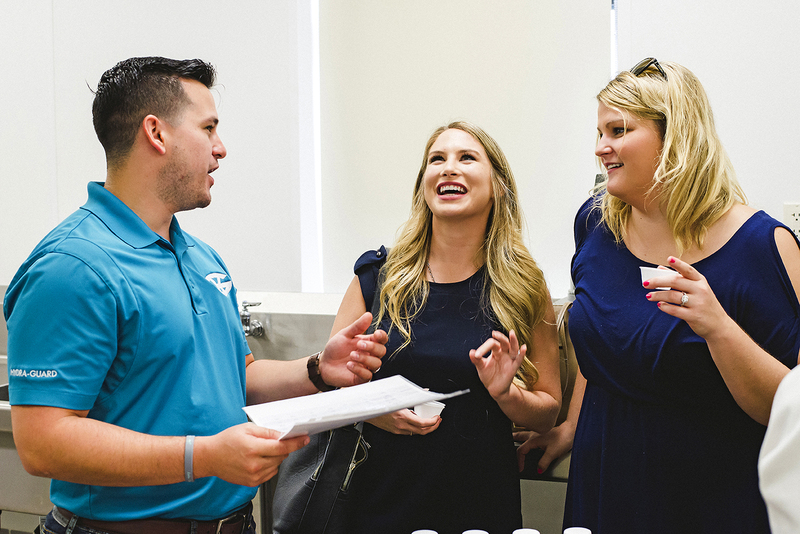 2015 was a banner year for the incubator, with tenants churning out more than twice the amount of products—44 tons total—than they did the year previous. By the end of this year, the facility will have turned out 125 tons of product since it was launched. Would-be entrepreneurs from around the region routinely contact the Food Incubator for information, says Sandoz, who has designed an annual all-day workshop to vet serious prospective tenants. If all goes well, the Food Incubator could expand its manufacturing capacity sometime next year with the addition of a mini-bottling facility, says Sandoz. Moreover, its technical services division hopes to expand consulting work with existing food companies nationwide for food science services like nutritional panels, and allergen and quality analyses. Nationwide, the specialty foods market is solid, growing 19.2% between 2012 and 2014, when retail sales reached $85.5 billion, according to the 2015 State of the Specialty Food Industry report by the Specialty Food Association and Mintel. The popularity stems from the convergence of several culinary trends, including rising interest in local, artisan and natural foods. Those three descriptors can be easily pinned to products emerging from the Food Incubator, says Sandoz. 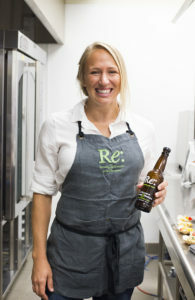 Just as small businesses and entrepreneurs have found a home at a growing number of tech and small business accelerators nationwide, culinary entrepreneurs are demanding the services of food incubators where they can safely manufacture edible items for retail sale. According to a 2013 report titled “U.S. 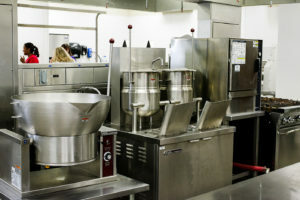 Kitchen Incubators: An Industry Snapshot,” there are at least 135 shared kitchen facilities across the country, most of which are located near metropolitan centers. Some are simply large, well-equipped kitchens that give cottage producers a chance to graduate from home kitchens to a formal processing line. Fewer facilities offer production space as well as technical assistance on everything from sales and marketing to safety and food science. The Food Incubator in Baton Rouge is one of them. 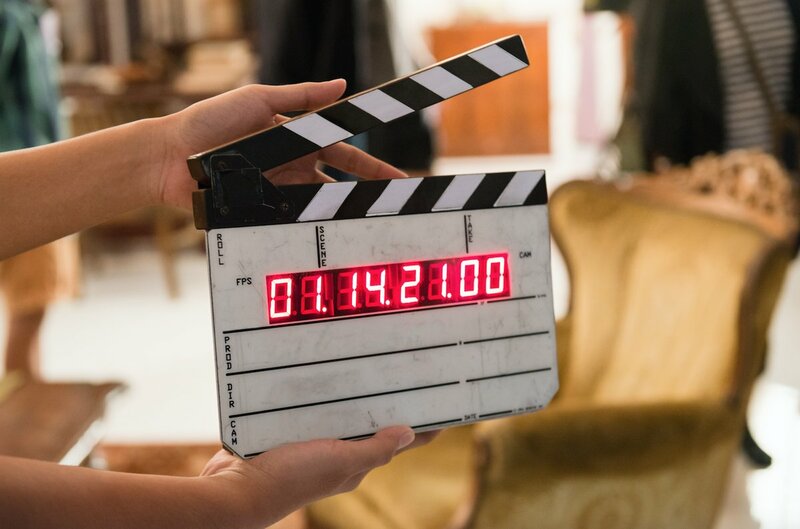 Sandoz, a 37-year food marketing expert, advises tenants on product naming and logo design, as well as negotiating deals with distributors and co-packers, and other aspects of the business. The incubator’s food scientists help tenants convert home-based recipes into high-yield, shelf-stable formulas with an equivalent flavor profile. They also can run allergen analyses and assist with nutritional labeling. The idea of launching the Food Incubator at LSU was first presented in 2012 by LSU Innovation Park Executive Director Charlie D’Agostino. In 2005, D’Agostino had helped launch Louisiana’s first food incubator, Edible Enterprises in Norco, in conjunction with the St. Charles Parish Department of Economic Development and Tourism and several other consulting partners, including the LSU AgCenter. Edible Enterprises continues to operate and hosts food entrepreneurs largely from the New Orleans area. Initially, the facility also drew producers from the greater Baton Rouge area. “After several years, the Baton Rouge area users got tired of the drive and asked us to develop one in Baton Rouge,” says D’Agostino, who was leading the Louisiana Business and Technology Center on the LSU campus, a small business incubator specializing in technology startups. D’Agostino reached out the AgCenter about an LSU-based food incubator. He and Sandoz, who was director of Edible Enterprises at the time, developed a business plan that would bring the dual focus of business training and food science to the project. Sandoz signed on as director in January 2013 and opened the incubator’s doors to tenants in June of that year. Since the incubator opened, more than 300 prospective tenants have expressed interest in signing on. Sandoz requires they attend an official orientation session in which she spells out how many hours it takes to become profitable. Once tenants refine their recipes with the help of the AgCenter food scientists and get FDA approval for production, they rent the Food Incubator kitchen for a certain number of hours per month to produce, package and label the product. It costs $20 an hour to rent the kitchen. 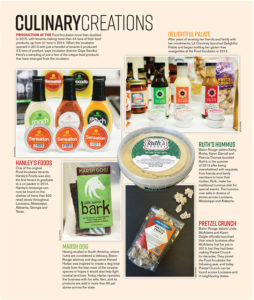 A look at some of the products that have come from the Food Incubator (click to enlarge). Richard Hanley, of the salad dressing maker Hanley’s Foods, quit his job as an advertising firm art director to focus on the company, which he founded in 2012. 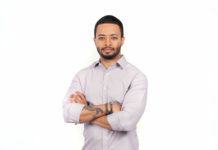 By the end of the second year of production, he and his small team of friends and family had produced and labeled about 200,000 bottles of Hanley’s salad dressings at the Food Incubator. “We like to say we work 100 a hours a week to avoid a 40-hour-a-week job,” says Hanley. Once the product is produced, labeled and boxed, it’s more elbow grease and shoe leather, says Sandoz. 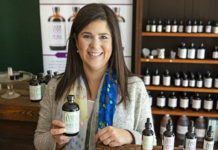 Entrepreneurs have to introduce it to consumers the old-fashioned way, by knocking on the doors of independent supermarkets and local retailers—outlets that don’t have to wait for corporate approval to carry a new product. Fortunately, says Sandoz, south Louisiana has a large number of healthy independent grocers that willingly accept new products, including Baton Rouge-based Matherne’s Markets, Calandro’s Supermarkets, Alexander’s Highland Market and others. Some, like Calvin’s Bocage Market and Bet-R, feature shelves at the end of aisles devoted exclusively to local items. 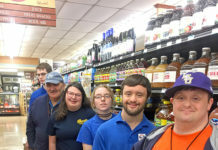 Getting into local stores often serves as an on-ramp for something bigger, including getting picked up by the distributors that serve Associated Grocers member stores throughout the Gulf South. The Red Stick Farmers Market has also proven to be a valuable asset to Food Incubator producers, says Sandoz. Many producers return throughout the year to take advantage of a captive market that is committed to buying local. “Nothing builds confidence like a sale,” says Hanley, whose five flavors of all natural salad dressings are now in 500 stores. In the early stages of sales, it’s up to the entrepreneur to monitor sales and to convince a store manager to restock and deliver orders. Once Hooked on Re: dressings got into 60 stores, a distributor picked up the items. Today the company’s salad dressings can be found in nearly 100 stores. At some point, companies hope to sell enough of their product that they exceed the production capacity of the AgCenter and graduate to a contract packer, or co-packer. Entrepreneurs hire co-packers to make their operations more efficient. Co-packers source ingredients specified by the company and manufacture the products according to the formulated recipe. Most artisan producers opt for a co-packer in the region so they can monitor quality on site and keep transportation costs down. Hanley’s Fine Foods, Hooked on Re:, Alvin Ray’s Bayou Best Pickles and Hydra-Guard sports drink have each moved their production to co-packers. Truly Southern Pretzel Crunch is in negotiations with one. Ruth’s Hummus, an all-natural product sold in an eight-ounce plastic tub, would like to shift operations to a co-packer but hasn’t found a company yet that can produce the hummus in the same packaging, says company co-founder Kathy Broha. 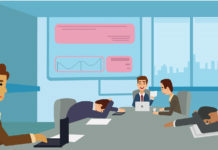 But while co-packers and distributors make life easier for growing startups, they also take a bite out of the profits. Distributors charge between 10% to 25% and co-packers from 20% to 40%, Hanley says. Hanley’s Fine Foods expects to see $500,000 in annual sales of its salad dressings by the end of 2016. Ultimately, Hanley would like to have his own manufacturing facility, but predicts that won’t happen until sales exceed $10 million a year. One of the Food Incubator’s distinguishing features, and what gives its products expanded credibility in the marketplace, is its food science services. Certified Food Scientist Marvin Moncada is the incubator’s lead research and development scientist, and production facility manager. It isn’t just about converting a home-based recipe to a shelf-stable formula, says Moncada. The philosophy of the Food Incubator is to develop all-natural products that allow a company to use as few ingredients as possible. Earlier this year, Moncada finished developing an all-natural “nanosalt” that will allow customers to consume less sodium due to its tiny size. The granules are one-thousandth the size of a kosher salt granule and will distribute much more broadly in a snack food. It took three years to develop the product. For example, the addition of the natural preservative cultured dextrose helped extend the shelf life of all-natural product Ruth’s Hummus. The only other ingredients in the product are chickpeas, tahini, extra virgin olive oil, fresh lemon juice, garlic, salt and pepper. Hydra-Guard founder Joseph Tucker relied on the incubator’s food scientists to formulate his new sports drink, Hydra-Guard Recharge, which boasts having more electrolytes and less sugar than other products on the market because of the addition of an LSU-developed additive called Bitter Blocker that masks the bitter flavor of electrolyte-dense potassium. Tucker bought the rights to use Bitter Blocker, and Moncada and his team created the formulation for the drink. Moreover, the food scientists developed flavors and colors for Hydra-Guard Recharge’s four varieties—grape, fruit punch, lemon-lime and orange—using all natural ingredients. HydraGuard Recharge was officially launched in September, and sales representatives have since been pitching the drink to local supermarkets and fitness centers. Tucker expects the product to show up on local shelves soon. Shelf life studies are another component of the incubator’s food science services. A sophisticated piece of equipment allows the food scientists to run accelerated stability tests that predict the time it takes for a product to degrade. Entrepreneurs can confidently label their products with accurate expiration dates, says Moncada. “The most important thing we do is show entrepreneurs how to produce safe foods,” Moncada says. That also means training entrepreneurs on meeting state and federal regulatory requirements for food safety. While the Food Incubator is known for helping entrepreneurs launch culinary startups, any food company can access these kinds of technical services in any stage of development. For example, while Hanley no longer produces his salad dressings at the facility, he recently used the services of the food scientists to develop an avocado dressing formulation that would not turn brown. 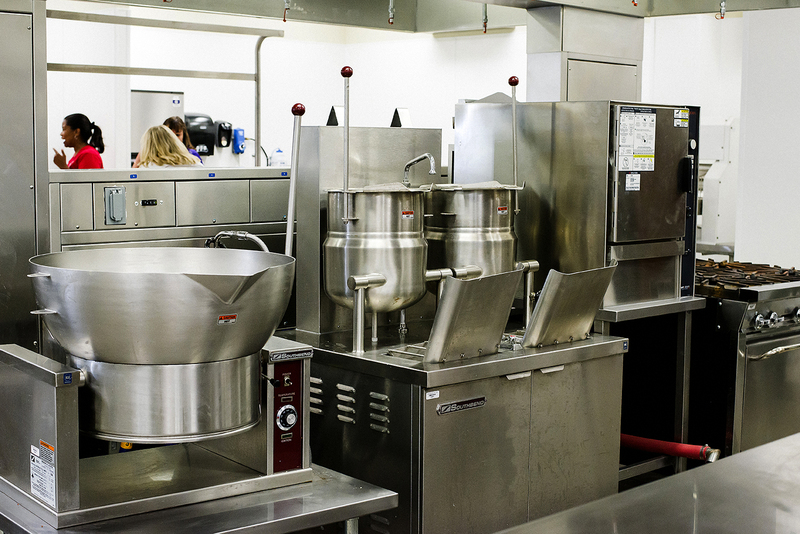 The LSU AgCenter School of Nutrition and Food Sciences’ Sensory Lab is another example of a fee-based resource available to both Food Incubator tenants and other manufacturers from around the country. The Sensory Lab helps companies understand more about what consumers like or dislike about their products. Food Scientist Ashley Gutierrez manages the Sensory Lab, which operates under the supervision of Horace J. Davis Endowed Professor Witoon Prinyawiwatkul. 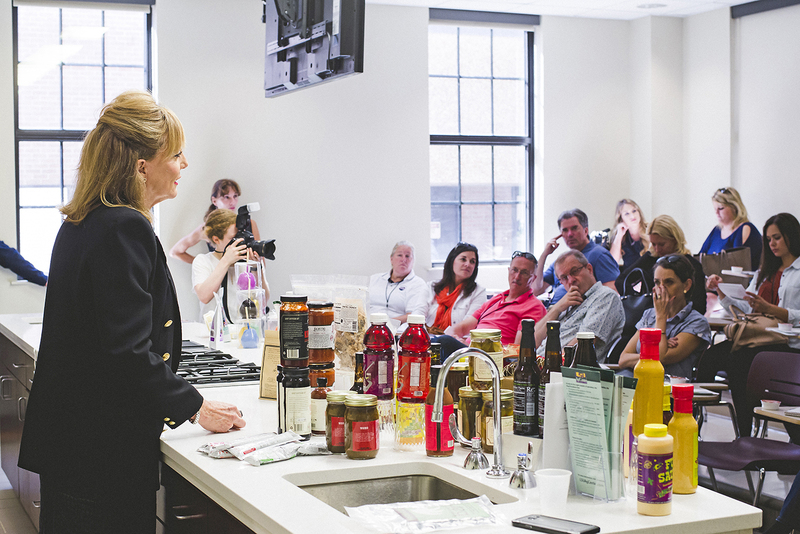 The lab recruits real consumers to sample foods and provide feedback on flavor, texture, color and other areas. 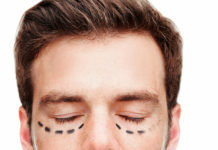 The lab is also equipped to test non-food items like fragrances or fabrics. The consumers are chosen based on the product’s target market. “We really aim to serve any company that wants consumer feedback on their product,” says Gutierrez. 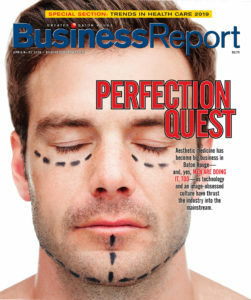 Sandoz sees these kinds of technical services as ripe for growth for the incubator.